Delon Shampoo with Macadamia Oil Review | Softness and Strength ? 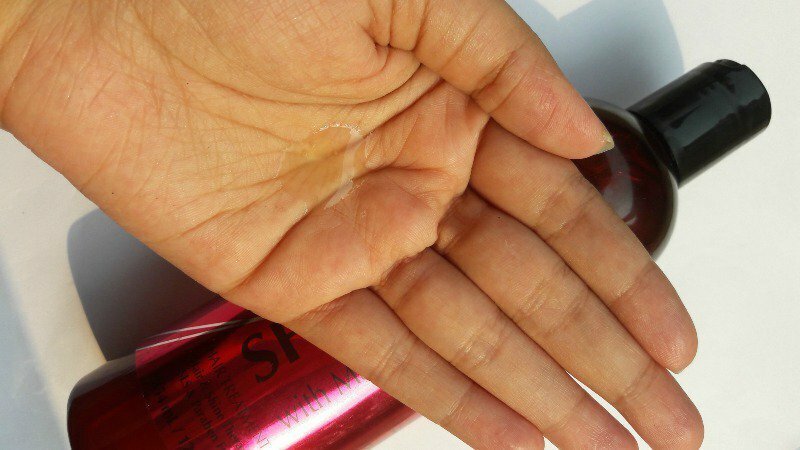 Home ReviewsHaircare Delon Shampoo with Macadamia Oil Review | Softness and Strength ? Hi ladies!How often do you all change shampoos?I’m usually not big on changing shampoos and that is owing to the eternal dandruff problems I have. They just refuse to go away. So I use only those ones that are successful in battling this stubborn issue.But two weeks back, my sister purchased a new shampoo for herself. And the packaging really caught my eye and so I decided to give it a try. Yes, I know weird reason to try a new shampoo! So today I’ll be telling you how the Delon Shampoo with Macadamia Oil worked for me! Rs. 549 for a bottle containing 354 ml of the shampoo. I bought this from Spencers, the departmental store. But this is also available on Nykaa and Amazon, online. Apply the appropriate amount of the wet hair. Massage gently working up a rich lather. Towel dry and follow up with a conditioner. The shampoo comes in a pretty brownish maroon bottle. While it isn’t totally transparent, the shampoo is visible from the outside. The bottle has a press open lid and can be poured into the palm by squeezing the bottle lightly. The packaging is quite sturdy and the bottle is slim enough to be taken on travels! The shampoo is almost like water, where its color is concerned, but it has a slight yellowish tint. The shampoo isn’t runny like water. It has a gooey texture like most other shampoos. It lathers quite well once I start massaging it. 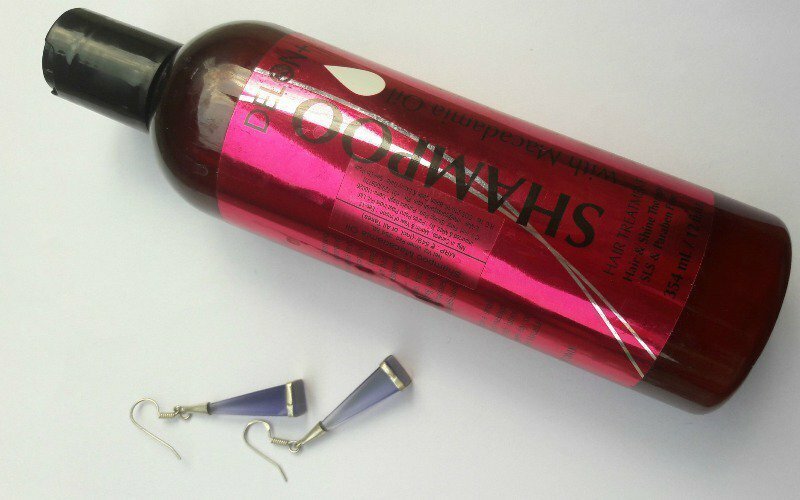 The shampoo has a very strong fragrance that is a mixture of a sweet and salty smell. It makes the hair smell pleasant after shampooing and stays for almost three days! I have always had wavy hair. And sometimes I get upset how they curl up in the end because the real length of my hair is never understood. But when I applied this shampoo, as promised this one did make my hair silky and smooth. But along with it, the shampoo also made my hair naturally straight which stayed for three and a half days. This made me ecstatic. Also, the softness that this shampoo gave my hair, made me fall in love with it. And yes, it also dealt well with dandruff. So all in all, I loved this shampoo! Do give this a try. It works well for all kinds of hair. That softness this gives makes it worth a try. I will definitely repurchase it! Bollywood Update : Ranbir , Ranveer and Deepika ! Khadi Herbal Face Wash : Hot Or Not ? This is a great product. Hope it works for me. My next try…Lovely clicks Deepsikha..Loved your review..
Natural straightening !!!!! Wow ?its worth trying then . I didn’t know about this brand.. The shampoo seems to be a nice one.. It is worth a try.. Even I tried this brand the first time! And was pleasantly surprised by the results! Nice work Deepsikha ! Your review is really helpful and informative. Thanks ! Thank you so much Loviena! I love this shampoo and conditioner but can not find them in the USA. Any suggestions? Amazon, India will not ship to me and the shipping if I could was posted at $50 to $75.